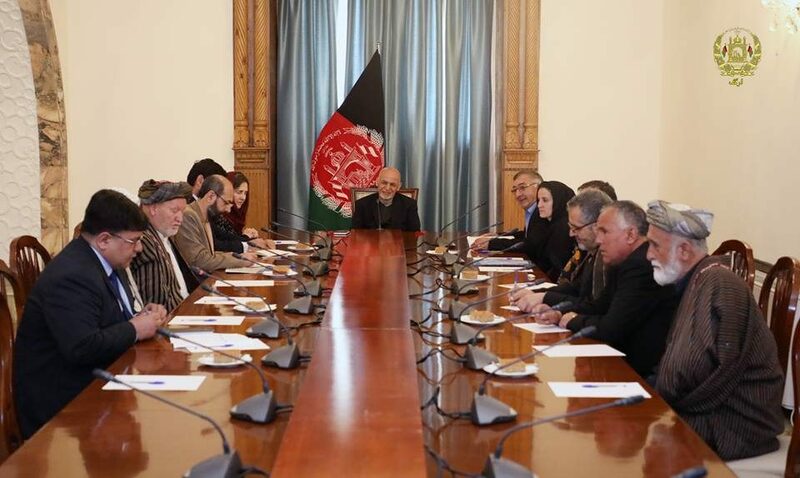 KABUL: President Mohammad Ashraf Ghani in meeting with a number of elders and influential figures of Shughnan district of northeastern Badakhshan province heard their suggestions and instructed the local organs administration to collect their problems to be solved duly, a statement from the Presidential Palace said Tuesday. The president, heard their suggestions about insuring security, improvement of education and paying attention to the Shughnan Airport, promoting the district healthcare center to hospital and establishment of a dam on the Shughnan lake, the statement added. He noted that Badakhshan, particularly, the district had high natural resource and capacity, from which, the fiber optic is expected to transfer and work on the dams would be started. The president instructed the intendent local organs to collect the problems of the people of Shughnan and report to the Presidential Office to be solved duly. The president also asked the Shughnan representatives to introduce a woman to be appointed as the country’s senate member, according to the statement.